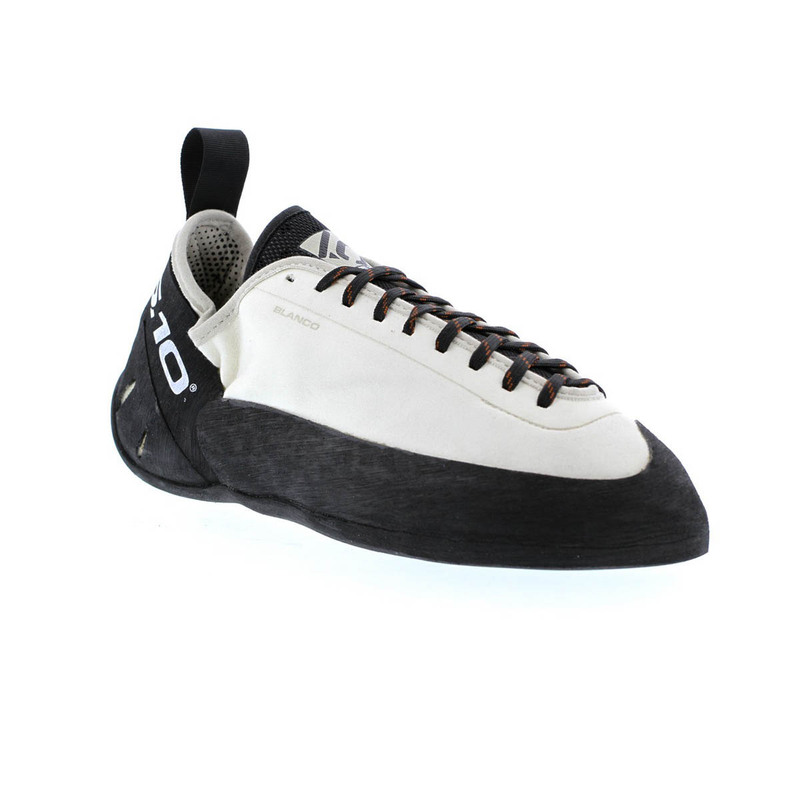 The Five Ten Anasazi Blanco is back by popular demand, and, amazingly, Five Ten have worked their magic to produce a climbing shoe with even greater edging performance than the precision powerhouse that was the original Blanco. 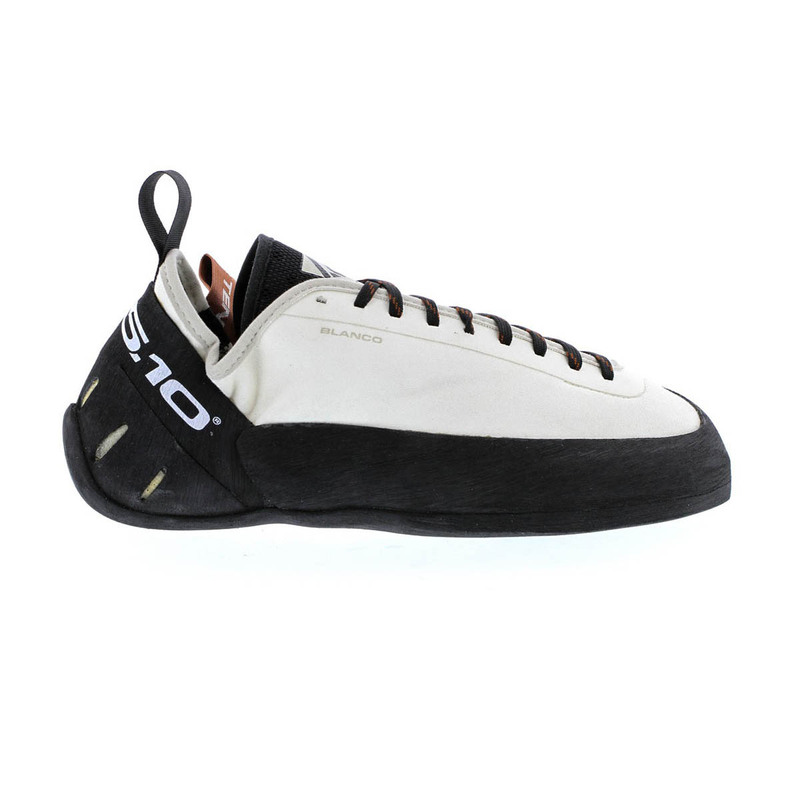 Five Ten have taken everything that made the original Anasazi Blanco loved and renowned - its last, asymmetric shape, Stealth® C4™ rubber, high-tension heel rand - then added a few effective features to bring it into the modern age of climbing. The new Blanco has a thermoplastic midsole that is stronger and stiffer, increasing edging stability and control whilst also helping to prevent deformation, allowing the shoe to retain its shape and performance characteristics after hard, intensive use. 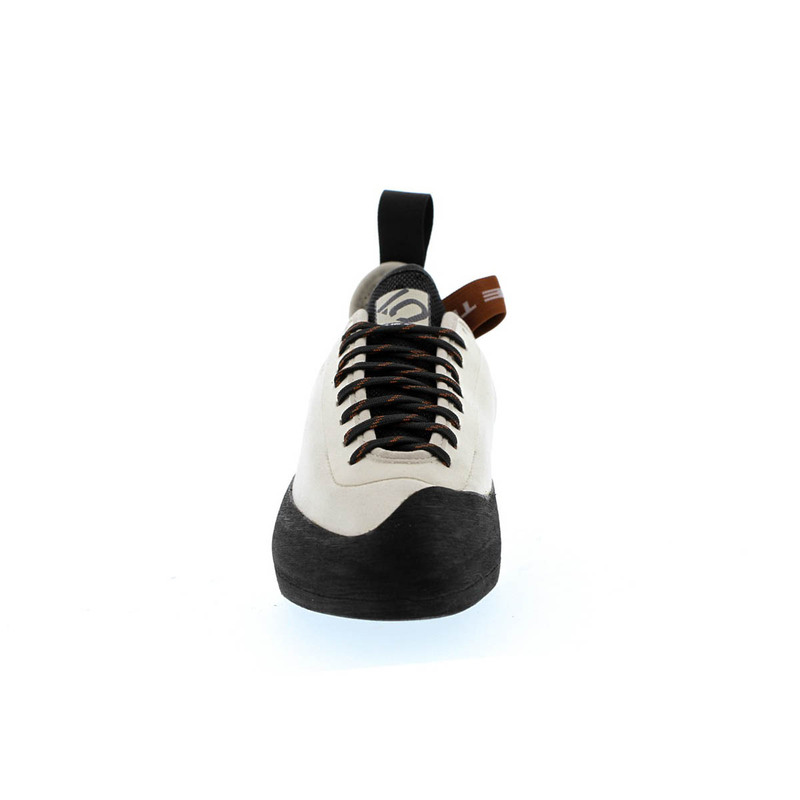 For warmer days and longer climbs, a perforated upper has been utilised to add breathability and help prevent feet from sweating out. Finally, the eye stay now has a welded construction for a sleeker shoe, which makes it less likely to fray following scrapes on rock, spoiling your favourite edging tool. 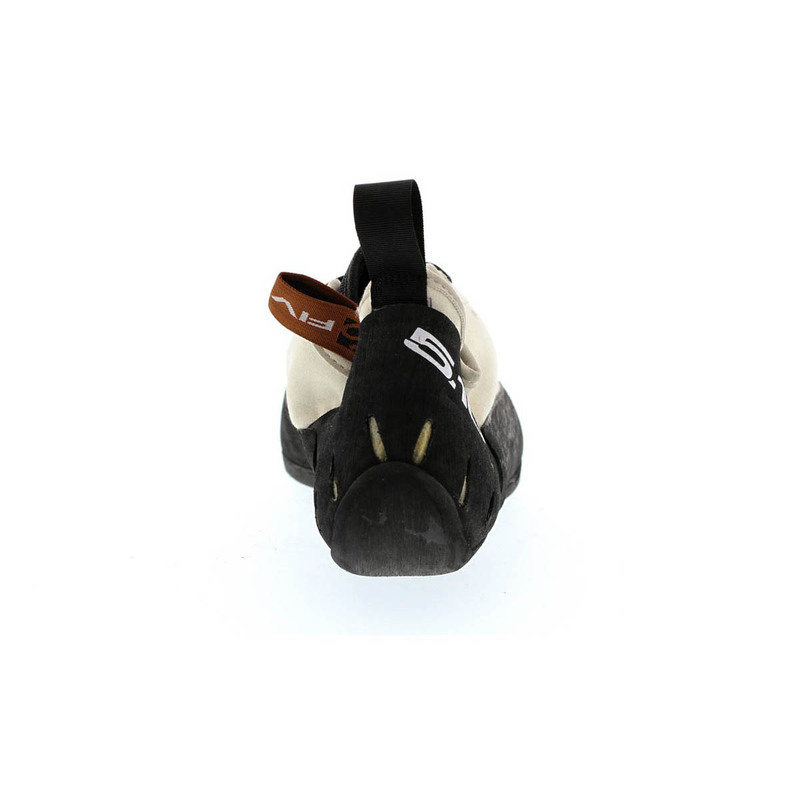 Precise and powerful, this shoe is like no other when it comes to micro holds and edges, and the most insecure, untrustworthy, fickle footholds. 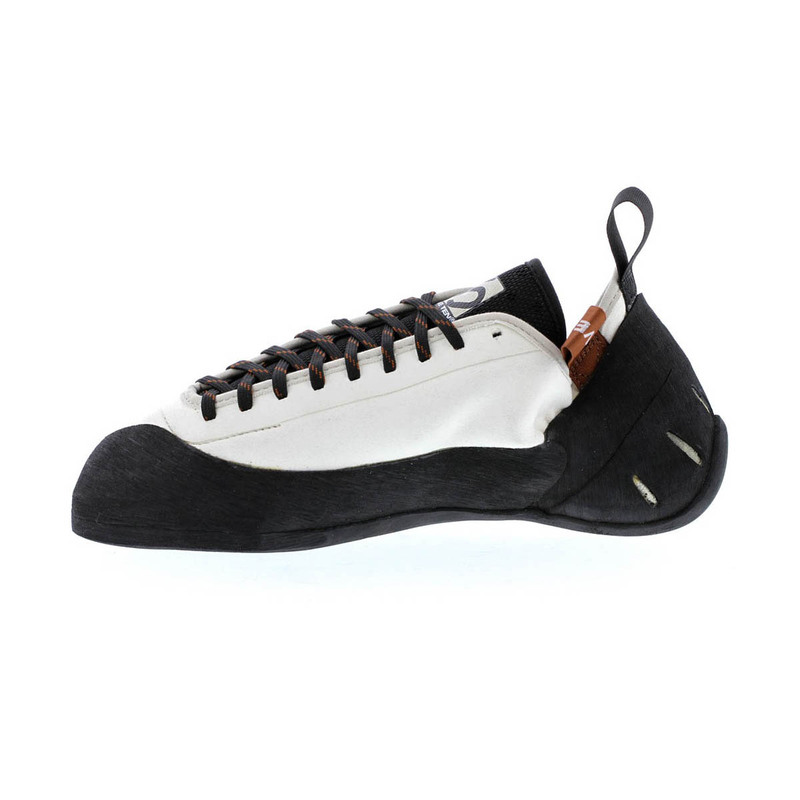 The Blanco features a lined synthetic upper, so expect the minimum amount of stretch. great performance at a reasonable price. A little effort to break in at US size 11 over others in the range (i own two other pairs of 5-10s (VCS brown US size 9.5 and pinks US size 10.5). the performance on steep walls has been significant with these, and the rubber and stiffness fantastic. the heel is ok but still gives the archilles tendon grief at the end of a hard days climbing. I have high volume feet (think hobbit feet) and i find the range of Anasazis a better fit than most anything else. as a general sports climbing workhorse i almost always turn to the VCS or the pinks for trad, but for complex terrain on steep ground the Blancos are great. really love the shoes, i can eve wear them for a longer time since they are not too uncofortable (once they are broken in) stealth ruber for me is still the best on the market, so I´m also happy with that. my only negative point is the heel, there is just way to much empty space for me and I´m wondering who got heels like that?? Anyways I´m not really using them on climbs where I need to heelhook a lot. on vertical and slightly overhang climbs they are just perfect, even the tiniest of footholds feels amazing to stand on. The 5.10 Blanco's are simply great! The super stiff sole is what makes these shoes so good, you just trust them to hold on to any foothold you see, as small or slippery (props to the C4 rubber here as well) as it may be. As the description says, they are edging MACHINES! I have never had a shoe I trusted this much, just put your foot down and push upwards! My next pair will be... 5.10 Blanco again! I bought this shoe for a trip to the Welsh slate quarries based on its stiffness and edging abilities. Needless to say, it was definitely stiff. Once I got over the initial shock of what felt like a lobster pinching the back of my heel (the Blanco’s really do give a snug fit), this shoe felt amazing for getting good precision on tiny edges. Although the stiffness takes a bit of getting used to if you bend your foot a lot when climbing. 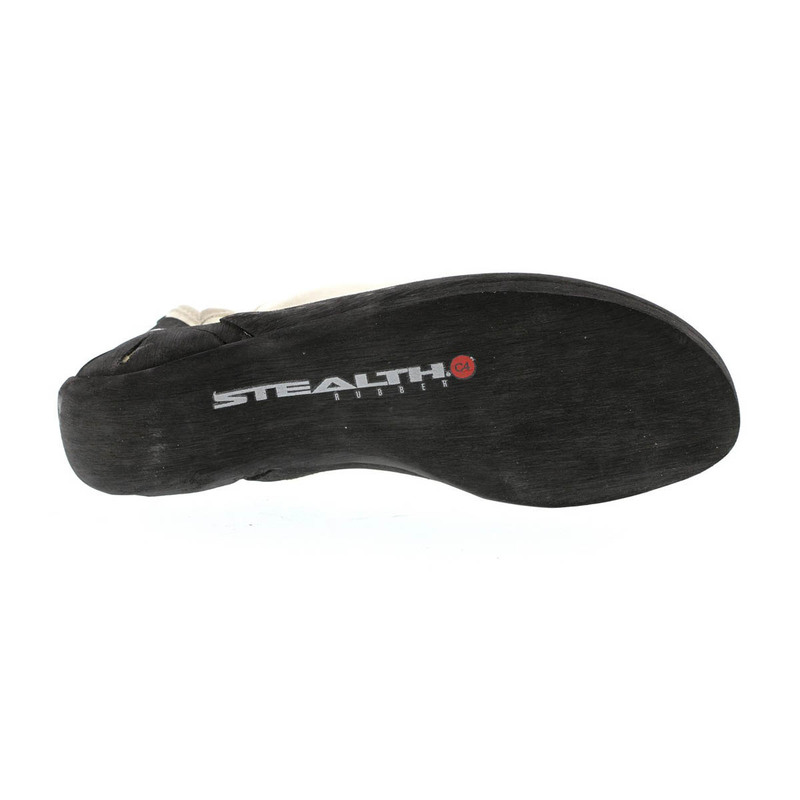 As usual, the 5.10 stealth rubber is also great for smearing when appropriate! Fantastic shoe! It is the first time I got 5.10 shoes and these shoes are great! I got them size 41.5 and my street shoes size are 43.They fit perfect!No space at all and after the first week it almost doesn't hurt.Their edging performance is great and ,although they are snuggy, I was able to smear at ease! I totally recommend!